I made a trip to a nearby town to take care of some personal businesses (banking, shopping, etc). We get up to 4 personal businesses days a month. The first two days don’t have to be approved but the last two days have to be approved by the Peace Corps….so basically we may not always get our 3rd and 4th days. 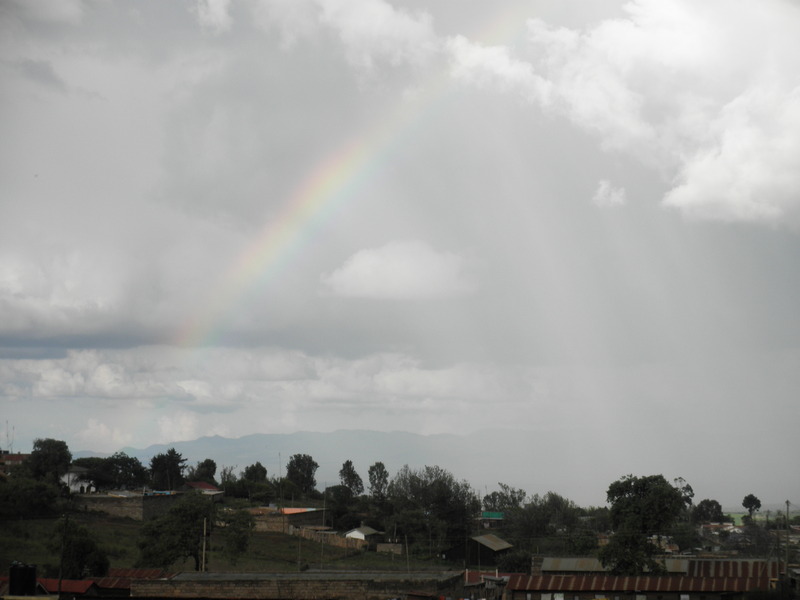 The reason for this is the Peace Corps want us to be with our community as much as possible. It is a bit challenging because that means I have to really plan ahead (I’m one of those people who have been known to make 3 trips to Wal-Mart in a day because I either forget to make a list or I forget to bring the list with me). There aren’t a lot of options at the village market either so again I have to really plan ahead. It’s also challenging because I’m only cooking for myself and I can’t keep leftovers since I don’t have a refrigerator and food don’t last very long here with insects and the heat. I also have to make sure I have enough kerosene for my stove. I also have to make sure I can carry everything from the grocery store to the bus stage to my house by myself! So, yeah…there’s a lot of little things I have to take into consideration…things that most of us don’t think about. I did some planning yesterday and I think I’m good to go for a couple of weeks! I can pick up a few things at the village market when I need them. I have already found out that the village market doesn’t have oranges, apples, or carrots. It’s also hit-and-miss in terms of eggs, potatoes, bananas, and tomatoes. They usually have these items but sometimes it takes more than one day/one attempt to get them. Anyways, today I decided to make the trip to town all by myself. This town is about 17 km (10 miles) from my village but can take anywhere from 45 minutes to 3 hours to get there. It depends on how long it takes to get a ride and how many stops there are. The roads are rocky, not paved, and have a lot of potholes so we usually don’t go any faster than 30-40 kmph (20-25 mph). I walked down to the main dirt road…waited…and hoped that I would get a ride! I ended up waiting 2 hours until I was able to flag down a matatu. During those 2 hours I ended up counting piki pikis (motorcycles–if we ride one, we get kicked out of the Peace Corps)….I counted 68. I took in the scenery. I also met what felt like half of the village. I got so many hellos and handshakes from people passing by. Once I got to town I went to the bank and the grocery store. I then dragged 2 heavy bags with me to the market and tried my hand at some bargaining for some fruits and veggies. Then I decided to grab lunch at a restaurant. Afterwards, I tried to get some more kerosene. The first two gas stations were out of kerosene but an older man on a bike who I met at the second gas station led me to another gas station that had some kerosene. I headed back to the matatu station after finishing up my errands and found a ride back to my village. I felt so independent today….it was a great feeling! Bear with me as I try to get all caught up with my posts in as few posts as I possibly can. 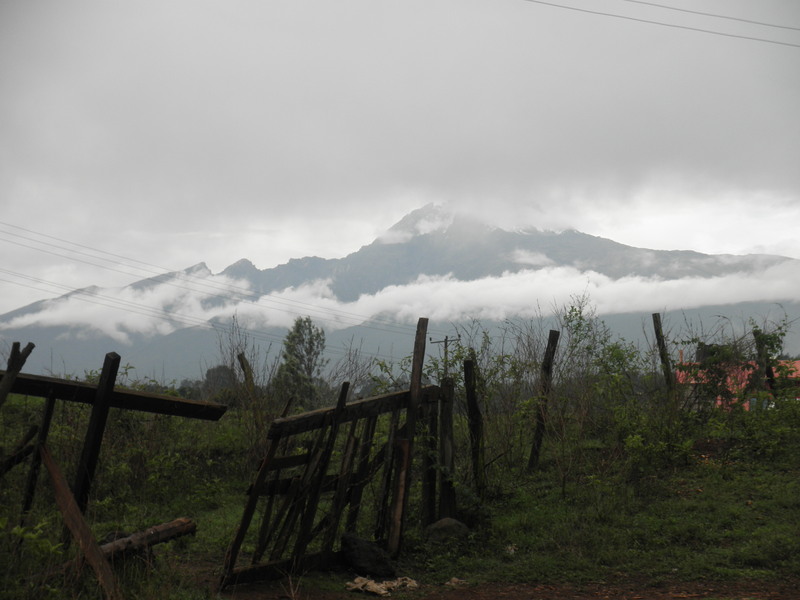 The Deaf Education group traveled to Loitokitok for HIV/AIDS training with the Math and Science PCT group. I fell in love with Loitokitok! I saw a few Maasi tribe members walking around town. Maasi oftentimes wear red and blue plaid clothes so of course every time I saw them…I thought of KU! 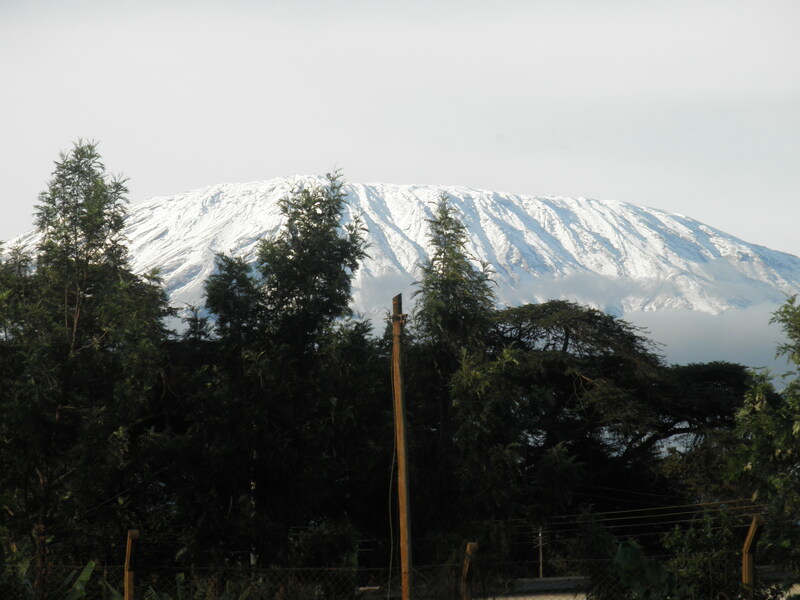 I was in awe of Mount Kilimanjaro (highest peak in Africa at 19,341 feet). It was a bit chilly, very rainy, and very muddy! I loved our walk from the training hub to the hotel…I even got to see a double rainbow one early evening! 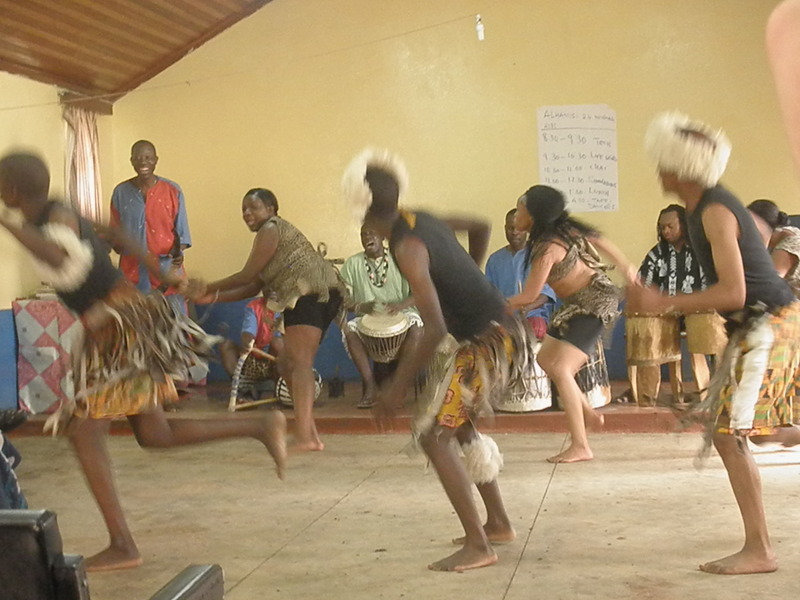 We were also treated to some African music and dancing after our training session one day. During our week in Loitokitok we had one day where we did Round Robbins to basically show that we can survive on our own once we complete training. We had an exam which contained of us writing lesson plans and schemes. 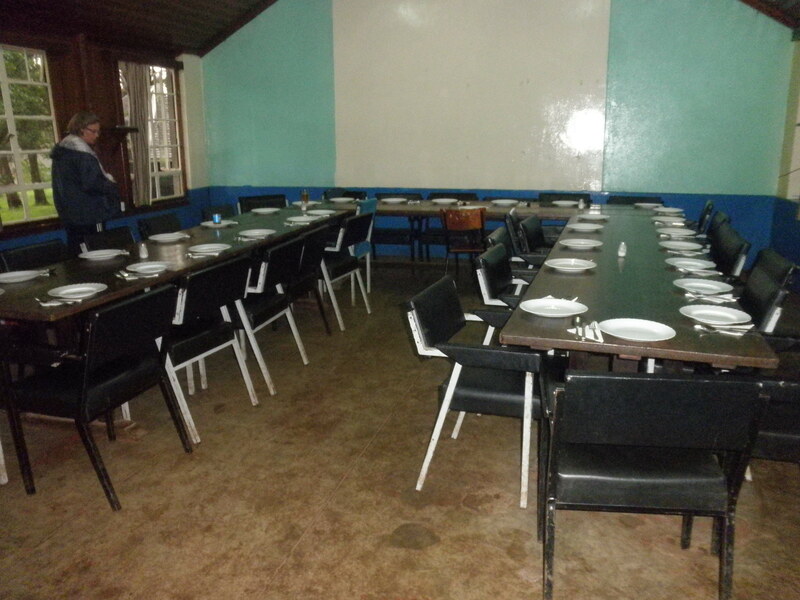 Then we had to identify Kenyan food in either KSL or Kiswahili and explain how to cook a Kenyan dish. We also had to light a paraffin lantern (we lose electricity a lot and some PCVs don’t have electricity at all). Then we had to show that we knew what to do in different situations (people selling stuff at the market, people following you, busy matatu/bus station, bars, intoxicated people)…the trainers were excellent actors. 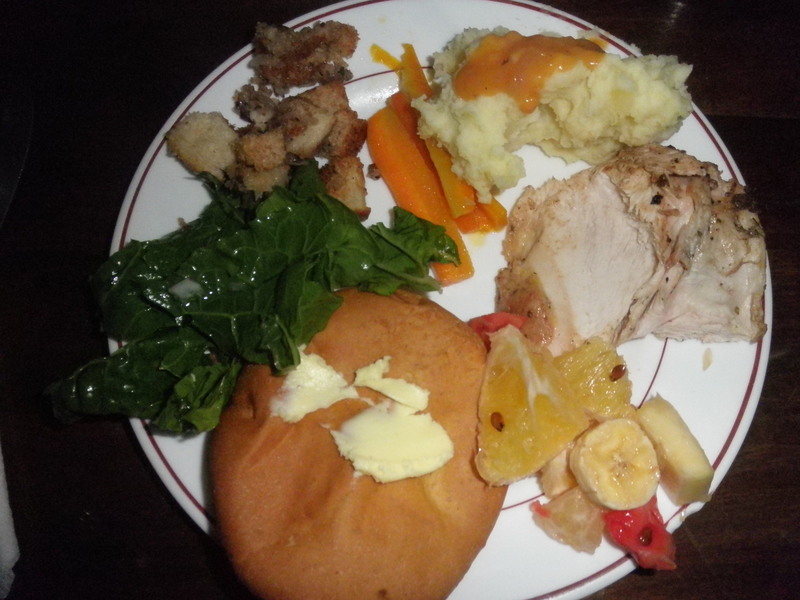 We celebrated Thanksgiving in Loitokitok on Friday (the day that the PC gave us off). The Math and Science Education group did a great job planning a grand feast for all 27 of us! They even managed to find 2 turkeys (hard to do in Kenya)…mind you…live turkeys. Two of the Math and Science Education PCTs killed the turkeys in front of us. I have never seen an animal being killed so that was an interesting experience. We had a bonfire after our Thanksgiving dinner. It was about a 30 minute walk one way from my 2nd host family house to where we had training at. I had to pass through the matatu/bus stage which wasn’t my favorite part of town. People tend to grab your arm or get really close to you and try to get you to buy stuff. Anyways, I was walking home one day and was almost home when I saw a relative of the 2nd host family that I had just met the previous night run up to a matatu. He waved at me and there was another man near him who I assumed he knew. This man stuck his hand out to me and I thought I was supposed to know him. Before I realized I didn’t know him I had already made the mistake of shaking his hand. He would NOT let go of my hand. I had to jerk my arm pretty hard to finally get him to let go after a couple of minutes. Then he started following me home rambling on and on not caring that I couldn’t hear a word he was saying. I just ignored him and was glad I made it home okay! My new favorite African animal are giraffes. There’s something about seeing them in their natural habitat. I have seen several on the side of the road while traveling through Kenya. Sometimes I see a family of giraffes and sometimes I see them eating from trees. 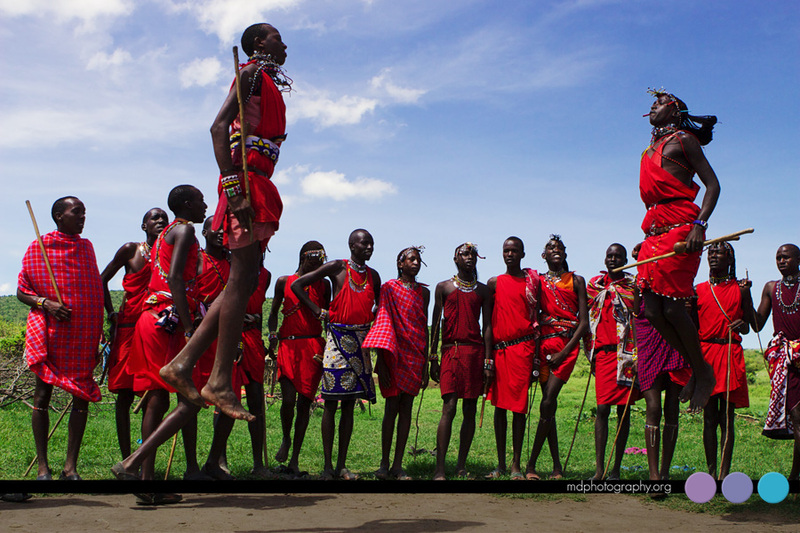 Once I saw one running near the road (maybe 20 feet from our matatu)…they’re slow runners but they’re graceful. I have also seen zebras and monkeys! I haven’t seen any elephants yet. Christmas was certainly different this year, not bad, just different. It’s so odd being in 80+ degree weather around this time of the year. I’m a 4 season kind of gal. I associate holidays with certain weather! It’s also odd not being bombarded with Christmas decorations and Christmas sales. I did see a couple of signs selling goats for Christmas but other than that there was no real obvious sign it was almost Christmas (except for when we were in Nairobi). I did get invited to spend Christmas with a few other PCVs but I wasn’t in the mood to spend a total of 16 hours on a bus in 2 days. I also really wanted to be able to video chat with my family and to chat with Dennis on Christmas. The school’s housemama did invite me to church and lunch with her family but I was still recovering from not feeling well for a few days so I declined (really appreciated the offer). I spent the day with the school’s 11 cows, several chickens, a few goats, a rooster, and a donkey! A couple of days before Christmas I decided to make my own Christmas decorations by drawing, coloring, cutting out, and taping Christmas themed stuff to the wall. I also turned on the little 3 inch plastic light-up Christmas tree that my mom gave me before I headed to Kenya. I made pancakes for breakfast and had spaghetti with garlic bread for dinner. I watched a Kenyan sunset (beautiful). I also had my first hot bath in a week (no worries, I did bath…I just wasn’t sure how long the kerosene would last me and didn’t want to heat my water every single night because cooking is kind of important). I spent the day chatting and videoing with family and Dennis. It was actually a pretty good Christmas week. Some of my friends back in America even visited my parents which warmed my heart. I got quite a few “Merry Christmases” from friends on a day they were spending with their family…it meant a lot to me. 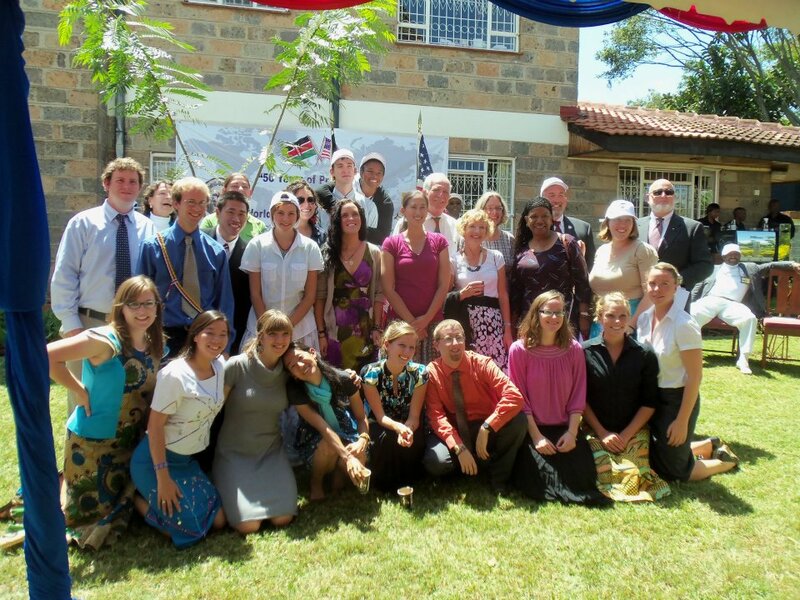 The Deaf Education and Math/Science Education group swore in as Peace Corps Volunteers on December 14th!! I was asked to give a speech in KSL which was an honor. 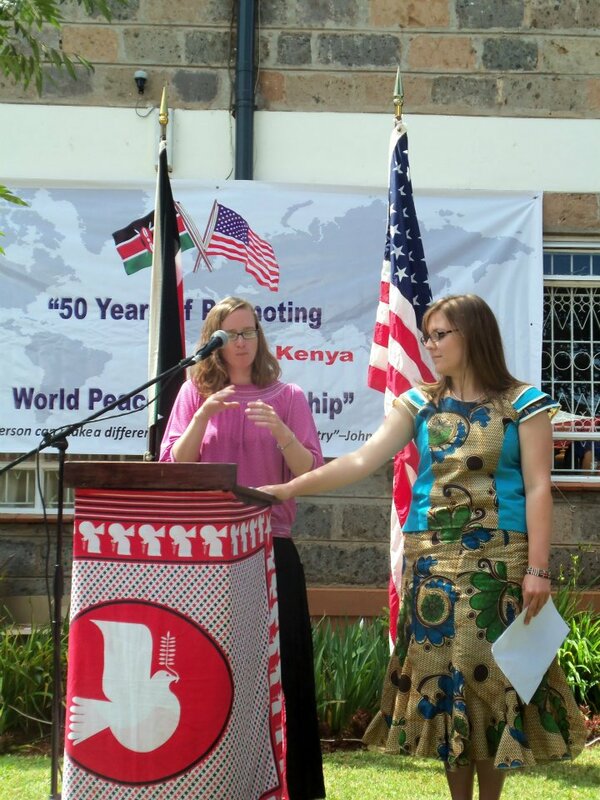 Three of us wrote a speech together…I gave it in KSL first, then a second PCV gave it in Kiswahili, and the third PCV gave it in English. This year also marked Peace Corps’ 50th anniversary. 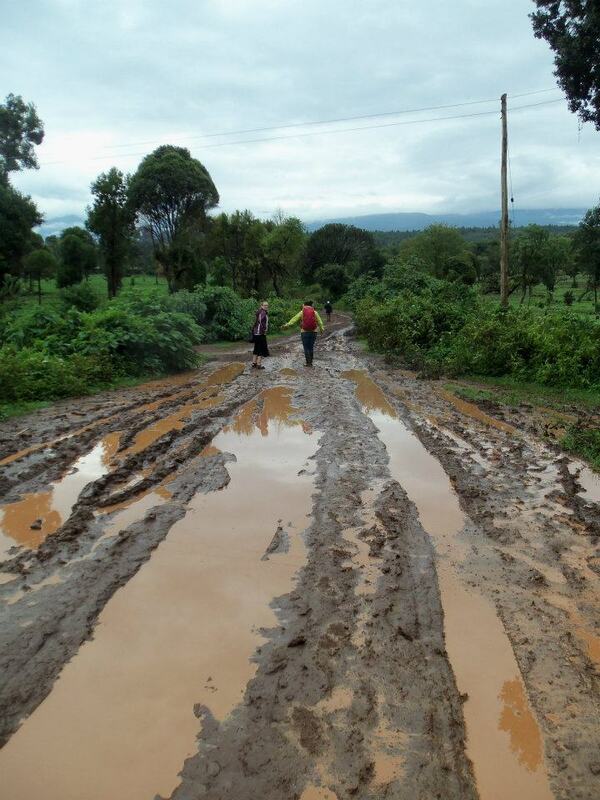 The day after we swore in as PCVs we headed to our sites. Meg (Math and Science Education PCV), Meg’s headmaster, Meg’s headmaster’s son, my teacher from my school, and I traveled together. It took all day to make the trip. I woke up around 4 am, finished packing, ate breakfast, and took a taxi to the bus station with my travel buddies. We couldn’t reserve bus tickets the prior day because they were all sold out due to the holidays. We couldn’t get a bus ticket at the first bus station so we went to a second bus station where we were able to board a bus. It was crazy. There were people walking up and down the aisle trying to fit as many people and luggage they could on the bus. People were trying to sell stuff. I was constantly getting hit in the head since I was sitting in the aisle seat. At one point my glasses got knocked off. It was around that time that I had an odd and quick attack of not feeling well. I got really hot and extremely itchy all over. I took my jacket off, rolled my pants up to capri length, rested my eyes for about half-an-hour…until I felt a tap on my shoulder….apparently our bus was broken so we had to move to another bus. Less than 2 hours later I started feeling better just as quickly that I didn’t feel well. I then happened to look at my arms which were covered in red spots which I chalked up to heat just because I had been hot but decided to keep an eye on it. The rashes/spots went away pretty quickly after that and I noticed what appeared to be a bug bite on my arm. It took us almost 2 hours to just leave the bus station and about 8 hours to get to the town where the teacher I was going to stay with lived at. It was a bumpy ride and a few of those hours were on unpaved roads. Once we got to town we headed to the teacher’s house where I met his family and had dinner with them. I crashed pretty early since I was tired and because the electricity went out. I shared a room with the teacher’s daughter, son, and niece (?). The next morning, he took me to town to get a few essential things (e.g. kersone stove, food, etc.) and he put all of my luggage on his piki piki (motorcycle) to take to the bus station. No worries, I didn’t ride the piki piki….I walked from his house to the bus station. We’re not allowed to ride piki pikis in the Peace Corps…that’s the quickest way to get kicked out of the Peace Corps and a direct ticket back to America. He then put me on a bus (with all my luggage tied on top of the bus) headed towards my school where I met up with the herdsman, guard, and house mama. It was a nice feeling to get everything unpacked after dragging around 100 pounds of luggage with me all over Kenya for 10 weeks. I also did some math….I spent the night in 6 different towns, 5 hotels, 3 different families, and slept in at least 15 different beds. I can’t believe it has been 2 weeks since I’ve been at my site already! I was a bit sick the first few days with 101 degree fever, runny nose, headache, sore throat, and an achy neck. It would come and go. I would feel sick for an afternoon and then feel perfectly fine. It feels so good to finally be settled in and to have everything unpacked! I even have hangers and a place to hang my clothes. I don’t have to live out of my suitcases anymore! Nairobi is chaotic but I love it. 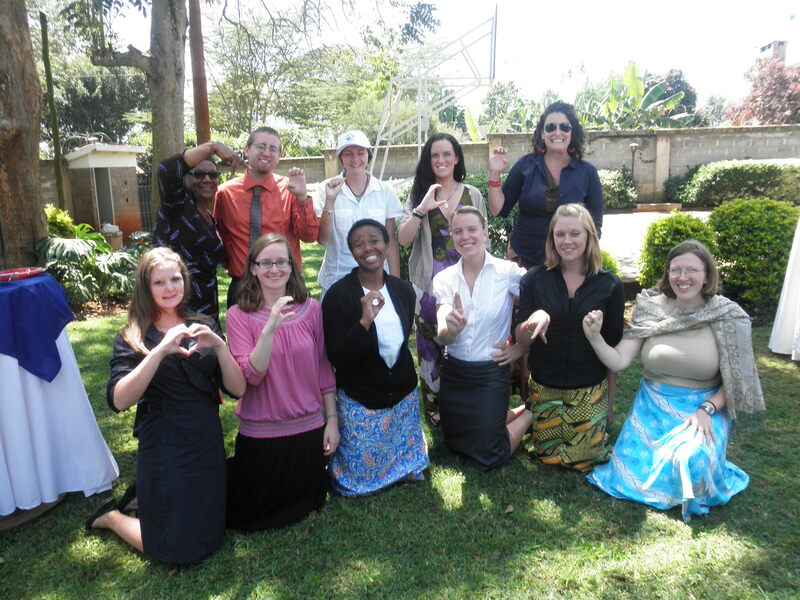 We headed back to Nairobi after our 10 week training to swear in! We spent a few days in Nairobi where I got a hamburger and ice cream!!!! We went to a couple of malls and saw some Christmas decorations. I had to remind myself to stop looking up at the Christmas lights while I was walking so I wouldn’t walk into a wall. Christmas decorations here are very hard to find. One of the malls we went to was “American style” with several Americans and Middle Easterns shoppers…I didn’t see a lot of Africans there. It was an odd feeling being in this fancy place after spending 10 weeks not always having a Western toilet, not always having electricity, and not always having running water. It was almost like a cultural shock for us all. I think we all felt a bit guilty indulging ourselves…we basically went from one extreme to the other. At the mall, I happened to see a teenager boy with cochlear implant (he looked Middle Eastern, the nearest CI centers are in Greece and South Africa). It was at that moment that I realized how much I missed being around other people with CIs….people who truly understand what it’s like to hear yet be deaf at the same time. Btw, I saw a box of Nerds at the mall and got all excited until I realized it cost 500 shillings ($5). Yeah, I love nerds but not enough to spend that much money on it. The sad thing about Nairobi is you do see street children and they do follow you asking for money. I can’t wait to visit Nairobi again! Before we headed to Nairobi for swearing-in we had a Family Appreciation Day to thank our host family for everything they did for us. We also had to put on skits. I was in a group of 3 other people (Ethan, Rachel, and Cindy) and we decided to put on a skit about cooking. Basically we had 3 different parts to our brief skit. The first part was about cooking chicken. The second part was about cooking ugali. Ugali is a popular food in Kenya and many Americans don’t care too much for it. Ugali is basically maize flour (cornmeal) cooked with water…it’s filling, cheap, and quick to make. It does take some strength to make though because you have to be able to stir it. The third part was about cleaning up after cooking. Kenyans are known for having a high toleration when it comes to touching hot things and for having a strong back. Ethan: *Grabs the jiko with his bare hands* HOT! HOT! We also had a nice lunch with our host families afterwards, it was kind of sad to say good-bye to them. My first host family stopped by for a few minutes and my second host family came as well.